The Bansko Beat Music Festival is on the 10th and 11th July and takes place within the main Bansko gondola lift car park. Headlining acts James Arthur, Little Dragon, Sam Feldt, Mo Horizons, Shawn Lee’s Ping Orchestra, Mo ‘Calamity & The Wizards, and many others perform for the two day festival here in Bansko, Bulgaria. I will confess, I did not know some of the acts booked to play at Bansko Beat Festival. So I had to undertake my research by checking out the artists on YouTube. This process has been more fun than I expected. There is some terrific music in these bands, and I’m not easily pleased. Learn everything you meed to know about this event. 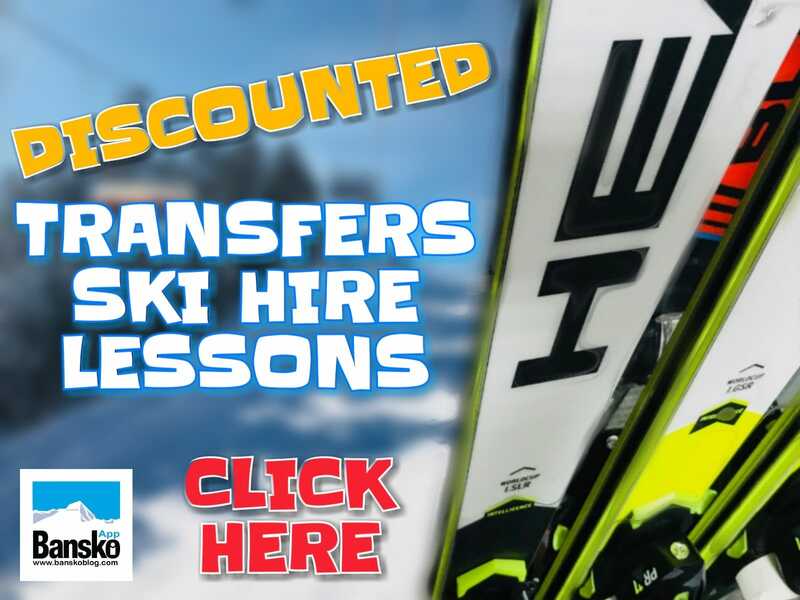 Eventim.bg – this is a link to Bansko Beat tickets booking page. The price seems more than fair but Ivo has kindly donated two all weekend festival tickets for two winners of our Facebook competition. For your chance to win a pair of tickets go to https://facebook.com/banskoblog and share any post about Bansko Beat. Or simply share this article here by 30th June 2015. You’ll then be entered automatically for a chance to receive two free two day tickets for the festival. The lucky winners will be announced on 1st July 2015. 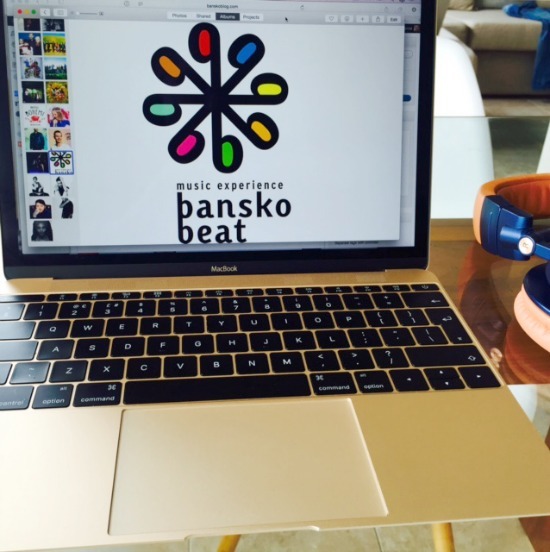 They will receive two tickets for the Bansko Beat festival each. No cash alternative available. Ivailo Dachov is one of the founders of Bohemi Entertainment Ltd. Not only are they organising Bansko Beat, but also the Bohemi Balkan Festival in Bansko, which takes place on 26th and 27th June. In this episode 36 we discussed, on Bulgaria Now Podcast*, the concept of Bansko Beat. You’ll be up close and personal with the stars. A relaxed, and family friendly, vibe is what you should expect. We touch on how, in future years, the direction the festival could develop… with jam sessions and the like. Ivailo stresses how the festival will evolve over the years and especially now, with the support of Bansko Municipality**, become a gateway for winter sports lovers to sample Bansko in the summer. You’ll hear that I am especially pleased this event is being held by the gondola lift. You feel closer to the spirit of the mountain there. I think it’s also more convenient for visitors as there are plenty of great places to stay there including the 5 star Kempinski Grand Arena Hotel. Not least because the new ski resort was built around the gondola lift. 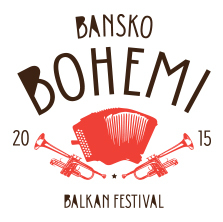 We also discuss balkan folklore style of music for the Bohemi Balkan Festival on 26th and 27th June. This is also been arranged by Ivo and his team at Bohemia Entertainment. Go to https://facebook.com/banskoblog and share this post, or share it here. You’ll then be entered automatically for a chance to receive two free two day tickets for the festival. The winner will be announced on 1st July 2015. Be sure to subscribe to this blog (on right hand column) to be notified. 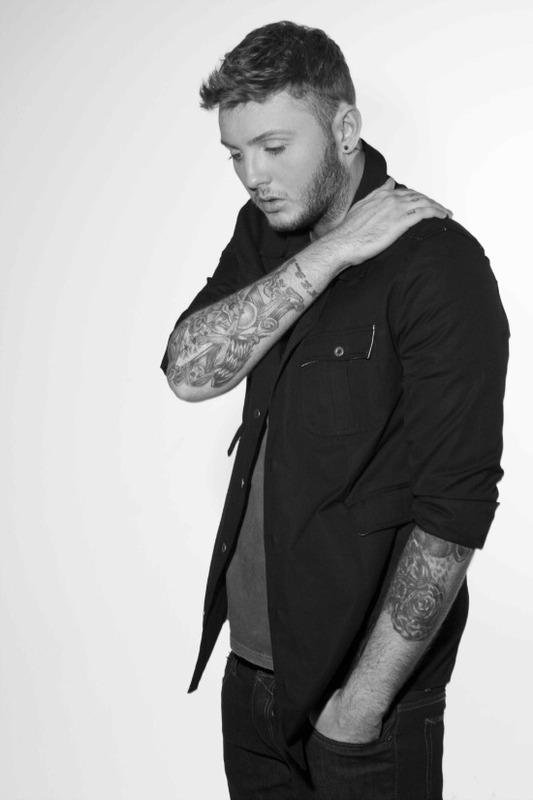 James Arthur was launched into the public’s consciousness in 2012. He won first place in the X Factor TV show in the UK. Immediately after that came his first single “Impossible”. Although the original song is performed by Shontelle, it was after Arthur’s interpretation that he gained global popularity. 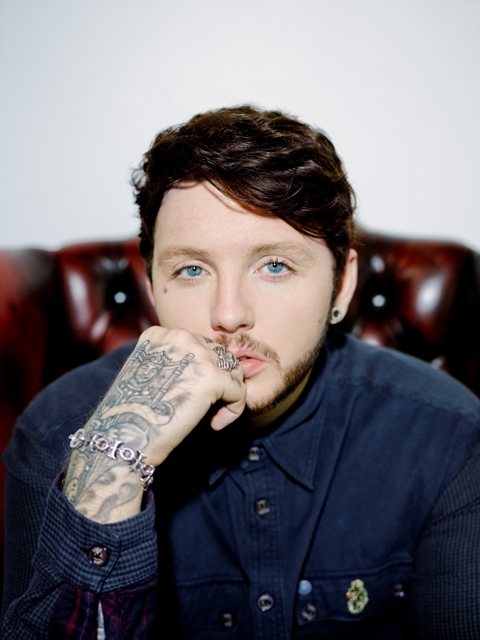 Over 2.5 million singles sold worldwide is testament to James’s appeal. When talking about himself he is succinct: “My name is James and I’m a songwriter, singer… and an artist”. Fans are looking forward to James’s second album — expected later this year. His presence at Bansko Beat is widely anticipated. Mo ‘Kalamity and The Wizards are the reggae surprise of the festival. This year will, for the French band, be their first live performance in Bulgaria. Their way of life is their music. 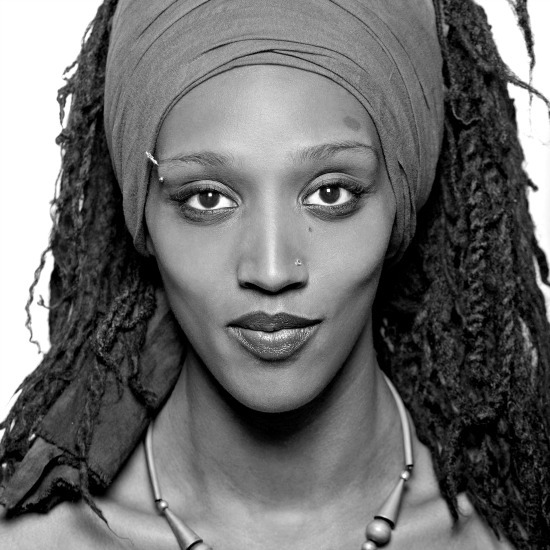 Peace, love and positive energy comes out of each line of their reggae songs that Mo’ Kalamity herself writes and composes. 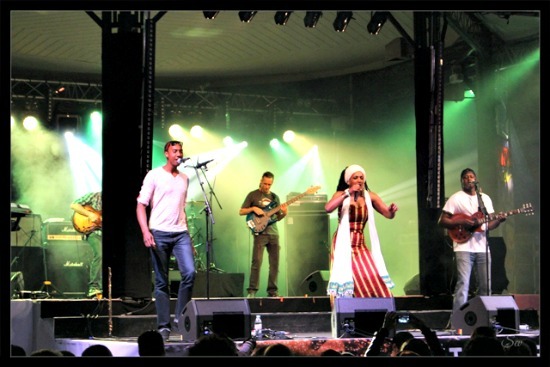 Their sound https://www.youtube.com/watch?v=l3bhISMRs7A (YouTube link) to their hit “Autour de Toi” is strongly influenced by her country of Cape Verde. I really like this being a long time reggae fan. I’m told that Mo began her career as a backup singer, but it was not long before she decided to form her own group of “wizards”. The rhythm is reggae, and the message is for love. This is the positive sound that perfectly suits Bansko Beat. Mo Calamity is now in my playlist to enhance my Bansko experience at all times of the year. Shawn Lee’s Ping Pong Orchestra started as a side instrumental project in 2004 by… Shawn Lee. The same year the formation releases their debut album: “Music and Rhythm”, which is not the first for the producer, author, musician and award winner Shawn. The music industry is rapidly adopting the sound of the orchestra and, not long after that, the movies, games and series started to receive the cheerful, ringing compounds of the American. “Malcolm in the Middle”, “Lost”, “Desperate Housewives”, “CSI”, “Ocean’s Eleven”, “The Bank Job” and many more instil tension, joy and excitement; all thanks to Shawn Lee’s Ping Pong Orchestra. Take a listen to the YouTube above and I’m sure you’ll enjoy this song Shawn Lee classic “Kiss The Sky” as much as I do. Can’t wait to see Shawn Lee’s Ping Pong Orchestra at Bansko Beat! BTW Here’s the link a really nice the playlist I found when researching for this article: https://www.youtube.com/watch?v=EHrHMT2yK7k&index=2&list=RD3pHQuCezmLE. 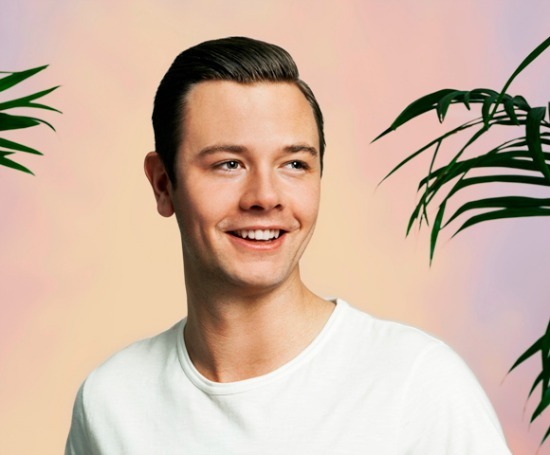 Sam Feldt is a deep house artist, who is part of Spinnin’ Deep (sub-label of Spinnin’ Records). This track “Show Me Love” is a classic. You’ll know the song. It brings back memories of the original from a double CD party music compilation I bought in the early 90′s. See Sam Feldt at Bansko Beat. 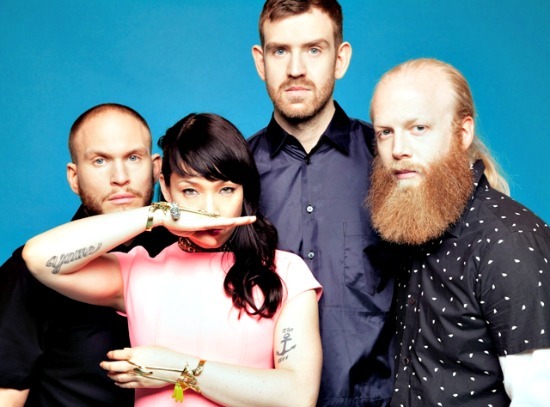 Little Dragon are growing in popularity but I had never heard of them until now. I like this video. The shorter version is actually a commercial for Absolut Vodka’s Absolut Mandarin. Yukimi is the lead singer. As so often, soundcloud is ideal for researching new artists work and it’s also the place I host Bulgaria Now. Also arranged by Bohemi Entertainment, is a free two day festival on 26th and 27th June — and is located in the main Bansko town square. I took a listen to Zeljko Joksimovic (Serbia), and was impressed. I admit to the fact that this is not music I normally listen to but, nonetheless, I enjoyed it. The fusion of modern instruments with Balkan music. A style of music that’s played throughout the region — includes Greece, Macedonia, Serbia and Bulgaria. MacBook 12" : Motivating me to blog more! This is the first article and photos to be posted using my new MacBook 12″. So here it is; in all it’s garish gold colour. I thought it would make a change from the silver or grey. It may take a getting a little used to but so far loving the fact there is no fan. I’ll try and comment in a few months time on how I’m adapting to it’s keyboard, trackpad and that sumptuous retina screen. Any typos here are down to me adjusting to the UK style keyboard, see above. A change from my nearly 5 year old MacBook Air which was a US import and therefore had a US keyboard layout. Excuses. *Bulgaria Now Podcast is a the radio show (well… it’s my podcast series since 2014!) produced here in Bulgaria. This episode 36, is an interview format and you can see all the shows on this site by going to the podcast page. The show’s aim is to uncover interesting people and businesses in Bulgaria as well as commentary on living and travelling in Bulgaria. Subscribe in iTunes, SoundCloud, Stitcher and is available in all podcast players. ** There are elections for every Mayor in Bulgaria in 2015, in clouding Bansko. If there are changes in power – then some of these assumptions could be invalidated. 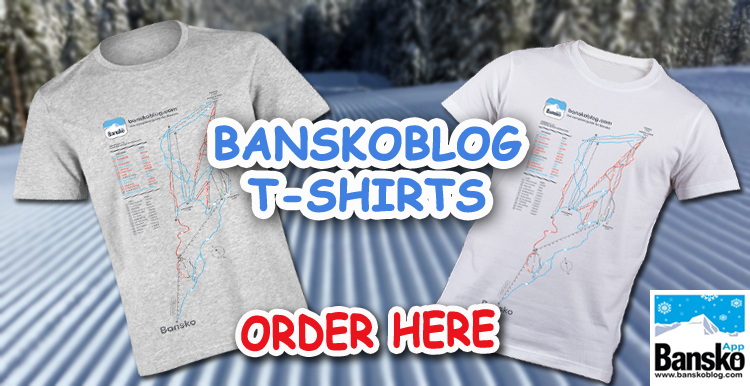 Want to support Bansko Blog, Bansko App, Bulgaria Now? Then please this summer book your transfer on Bansko App — shuttle transfers from €13.95 per person per direction from Sofia airport (or the city) to Bansko. 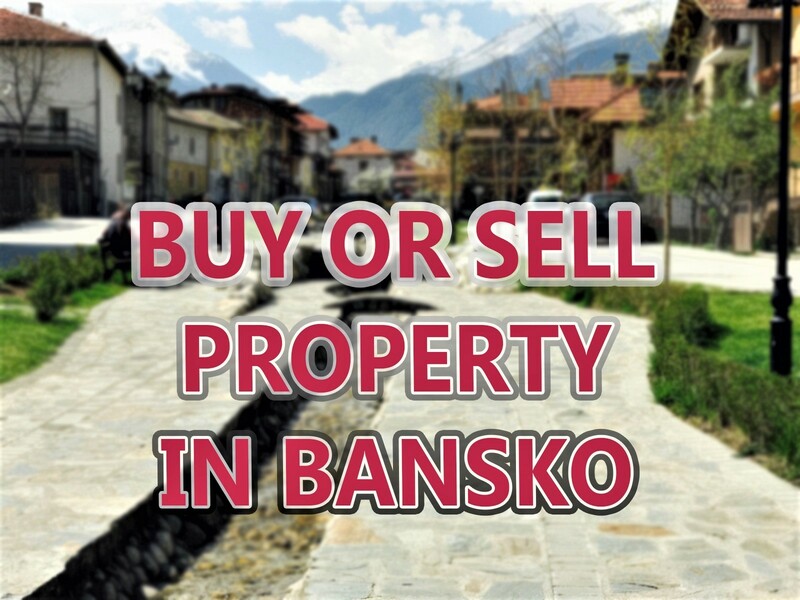 Other Bansko tours available via Bansko Blog. Complete the pop up enquiry from below with your enquiry.